"Above all, I want to thank the musicBox team for their stellar customer support; day or night and even on weekends, I was able to communicate with the support team and they were able (and happy) to answer, even my most elementary questions. This product really is all that it purports to be and easily allowed me to install a very professional system, enjoy tunes throughout the home!" The Voigtmann's new home is located in the Nashville area, where music is a huge part of life. So naturally, the family wanted to surround themselves with music in their new home. They researched many options regarding whole house audio; everything from simple DIY to fully integrated professional systems. They ultimately chose the MusicBox 6 system based on its professional approach in a DIY product. The family decided to install music in 9 rooms. 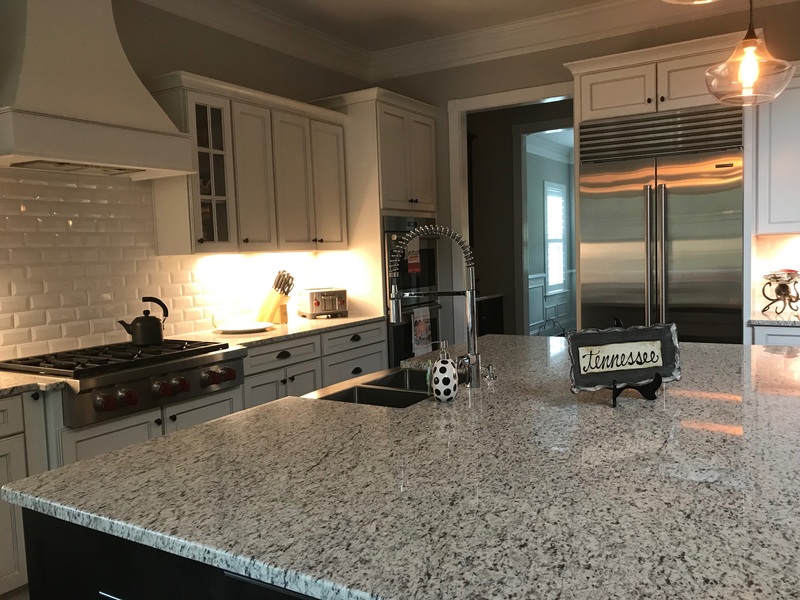 Based on the recommendation by their low voltage contractor during the home construction phase, they installed 7 pairs of Vanguard Dynamic in-ceiling speakers, and 2 x single DaVinci Dual Voice Coil Single Stereo in-ceiling speakers, which are ideal for smaller rooms, like bathrooms. Simple integration of Jeremy's love for vinyl was an important element of the design. Jeremy has a small, but varied and growing vinyl collection, ranging from Beach Boys and Eagles to Waylon Jennings and modern country (Eric Church, Chris Stapleton, Dierks Bentley, etc.) to Ed Sheeran, Madonna, and Gary Clark, Jr. He started his collection when he moved back to Nashville a couple of years ago. 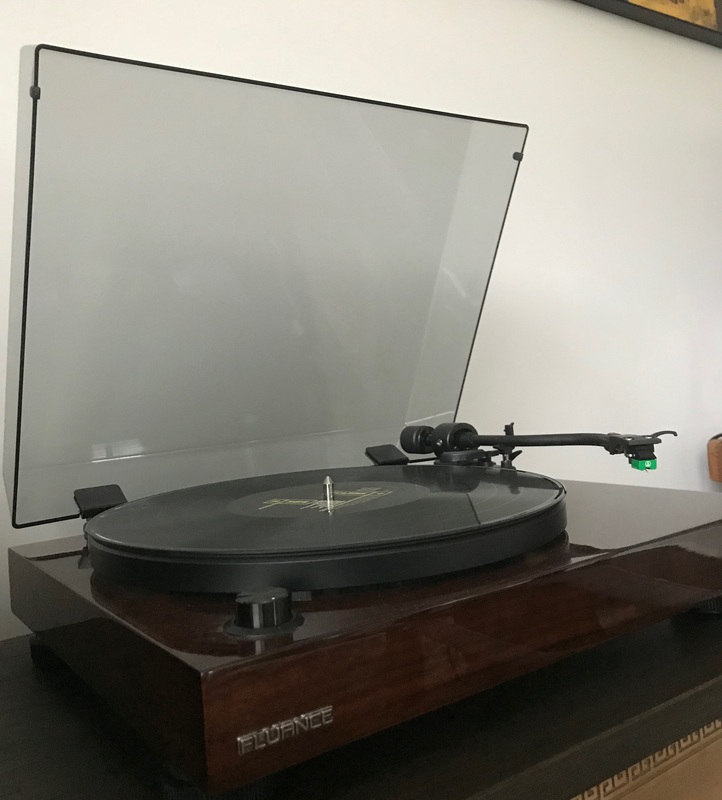 The family really enjoys the sound of a turntable and vinyl, and it has a very nice aesthetic and works well with the Nashville vibe. Due to the "hands on" nature of the turntable, it is located close to the music equiment (approximately 12'). Once the home was completed, the Voigtmann's installed their musicBox. The family primarily listens to vinyl, iTunes music, and SiriusXM (via AirPlay). Both Jeremy and his wife have their own music collections (each containing just under 2,000 songs). These collections were uploaded to the music server using QuickSync, which quickly discovers, catalogs, and in this case copied the music to the server. QuickSync monitors their iTunes libraries, and anytime they add songs or create playlists, these will be automatically synced to the music server, for a truly hands off experience. Although the musicBox does not provide built-in support for SiriusXM, the Voigtmann's use the musicBox AirPlay functionality to listen to their SiriusXM music from one or more iOS phones and tablets. "... Setup was a breeze and the results are amazing. I can remotely control up to 12 zones with the touch of an app and the integration with our current music files and even SiriusXM (using Airplay) was seamless. I was even able to incorporate my turntable and now listen to vinyl in any room in the house! 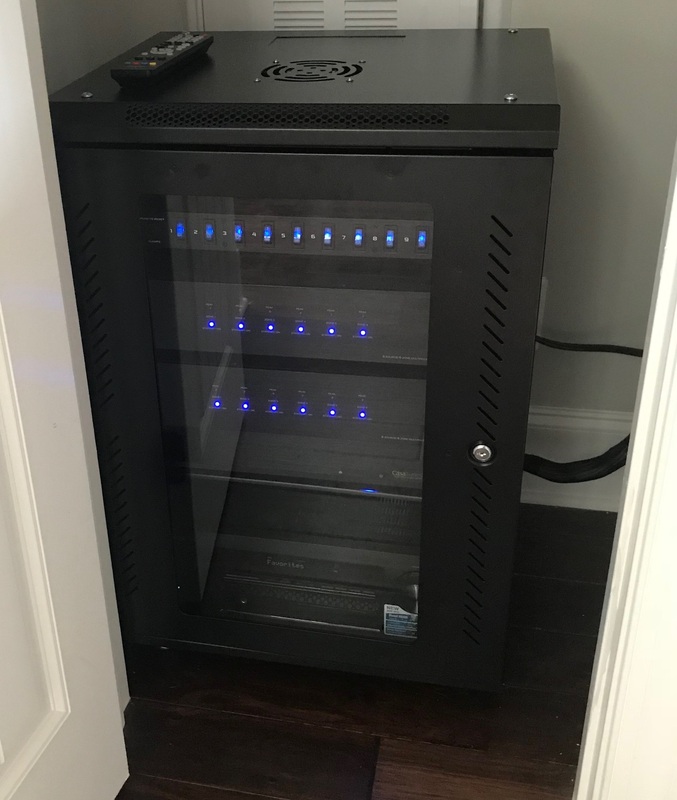 ..."
With limited depth and width in their network closet, the Voigtmann's ended up utilizing a modified Safstar 15U, wall mounted rack cabinet, which was retrofitted with rubber wheel swivel casters. The cabinet includes a ceiling mounted cooling fan. In addition, they opted for a rack mountable Pyle 15 Amp power supply, with power surge protection. "... Above all, I want to thank the musicBox team for their stellar customer support; day or night and even on weekends, I was able to communicate with the support team and they were able (and happy) to answer, even my most elementary questions. This product really is all that it purports to be and easily allowed me to install a very professional system, enjoy tunes throughout the home! ..."